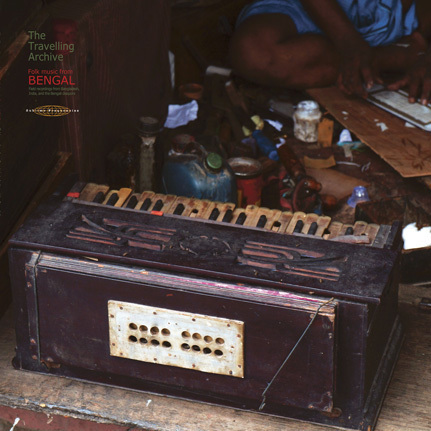 Field Recordings from Bangladesh, India, and the Bengali Diaspora. The Travelling Archive is a journey through the folk music of Bengal. It is run by Calcutta-based Bengali singer, writer and researcher Moushumi Bhowmik and sound recordist and sound designer Sukanta Majumdar. They have been making field recordings of songs and stories across Bangladesh and eastern India, even the Bengali diaspora in East London, since 2003; documenting and disseminating their research through archives, presentation-performances, art works, and their own independent record label and website. Moushumi and Sukanta get out there, travel all over, become friends and live with the musicians, record them in their homes and villages, on their rivers, in their tea shops and work fields. Bengal, which includes Calcutta India, Dhaka Bangladesh and more than 250 million people, is an amazingly diverse yet unique region, home to some of the largest cities in the world and plenty of uncategorizable and diverse folk music, including those wandering minstrels, the Bauls. The music and instrumentation presented on this LP features solo voice and chorus vocals, harmonium, dotara (four-string fretless lute), ektara (traditional one string drone instrument), dugi (small kettle drum), bamboo flute, violin, and even an empty popcorn tub played like a drum. This is a diverse and magnificent sampling of what remains a massive archive of folk music from this region and Sublime Frequencies hopes to continue to release additional volumes in the future. Produced for Sublime Frequencies by Robert Millis. This limited edition LP comes in a tip-on heavy jacket with insert containing liner notes and photos.